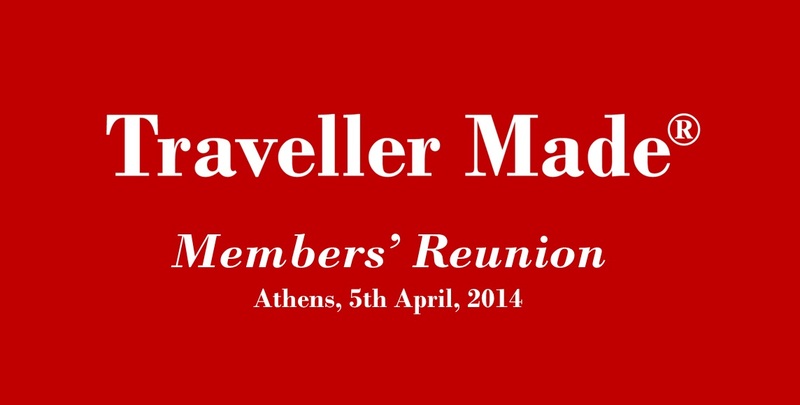 For the first time since its creation on April 2013, Traveller Made® invited its Member Agencies for a best practice workshop in Athens on Saturday 5th of April. The #1 European Travel Designers Network gathered in Athens on April 5th 2014 and officially launched the Best Practice Committees delegated to improve the impact of the European Luxury Travel Community, with the support of the Deputy Secretary General of the Greek National Tourism Organization, Mr Konstantinos Zikos. This event was supported by two Partners, the Grande Bretagne and King George Hotels, both Starwood Luxury Collection properties, and Seez Travel, Greek Destination Management Company. The foundation stone of the Traveller Made® enterprise had been laid on December 1st 2013 in Monaco at the Presidents’ Club where Member Agencies, Hotel and DMC Partners have attended the first official presentation of Traveller Made®’s ambitions at the Fairmont Hotel Monte-Carlo. “We have now erected the columns of the future “temple”, under the good will of Goddess Athena” says Quentin Desurmont with a smile, on the rooftop terrace of the Grande Bretagne, pointing at the magnificent view on the Athenian Acropolis. During the workshop, the aggregate revenue generated in 2012 by the 71 Member Agencies was disclosed as in excess of 420 M€, and showing a +11% growth vs. 2011. This group of independent luxury companies located in 21 countries in Europe employs nearly 900 persons dedicated to tailoring the best bespoke travel experiences for the wealthy European travellers. These committees will be joined by other key players and Partners of Traveller Made® such as Hotels and Destination Management Companies. Airlines will also be invited to brainstorm on service improvements. The names of all committee participants will be disclosed prior to the announcement of the first committees’ convening, which will take place in 2014 (to be announced). The Reunion unrolled in the presence of Mr. Konstantinos Zikos, Deputy Secretary General of the Greek National Tourism Organization. “Tourism is a key industry for Greece in terms of employment and infrastructure. We applaud such initiatives as Traveller Made® that will reinforce the country “top-of-mind” and high-end visibility among affluent European traveller segments. Hosting the Traveller Made® Members’ Reunion in Athens was completely aligned with our development strategy” reported Mr. Konstantinos Zikos. The Members’ Reunion was hosted in Athens by the Grande Bretagne and King George Hotels of the Starwood Luxury Collection. Tim Ananiadis, General Manager of both hotels and Starwood Regional Vice President for the Greek Region, declared: “We are happy to host the first of a kind European Network of Luxury Travel Designers in our Hotels. Being a Partner of this new adventure is very exciting. We wish Traveller Made® a great success as we believe Europe needs such a new venture”. The event was logistically organized and secured by a key Member Agency of Traveller Made®, Seez Travel, based in Athens and Managed by its founders Annia Spiliopoulos and George Eliades. “We put at Traveller Made®’s disposal our Destination Management Company specialized in creating Greek Travel Experiences to make this important event possible. We are proud to be a Greek Member Agency of Traveller Made® at a time when we believe incoming luxury tourism is recovering in Greece and aiming at a bright future that we highly support with several local initiatives” said George Eliades, CEO of the Algean Group, and its 2 subsidiaries Seez Travel and Omni Apico.